Minneapolis: Fortress Press, 2014. 156 pages. $29.00. “If ever there was a need for peace, the time is now” (79). Simultaneous to the writing of this book, the author observes that there were forty-two wars or major conflicts churning in the world. We all long for peace, but how to find it in this realm of endless chaos? Chumley, author and filmmaker, reiterates the classic mystical truth that the path to world peace can come through the realization of our own inner peace. In the words of Elder Pavlos, one of the hesychasts interviewed for this book and spiritual father at St. Catherine’s Monastery in Sinai, Egypt: “If the person can have internal peace, then he will also have peace with the world around him” (98). This timely and readable book is an excellent introduction to the history, theology, and practices related to hesychia, as transmitted through the various eastern traditions of Christian Orthodoxy. The book gives a well-balanced account of the historical and theological evolution of hesychia in the geographic strongholds where it began and was refined: Romania, Greece, and Egypt-Sinai. Through historical-critical analysis of the key texts, the book provides a solid overview of the major thinkers and practitioners, including: St. Anthony, St. Pachomius, the Cappodocians (St. Basil, St. Gregory of Nyssa, St. Macrina), St. John Cassian, Evagrius, Diadochus, St. John Climacus, St. Symeon the New Theologian, St. Gregory Palamas, St. Gregory of Sinai, and writings in the Philokalia. Hesychia is the “primal state of union with God” (117). It is an inner state of quietude and stillness, as well as a spiritual process of realizing that inner state. Hesychia is the state of union as well as a “method of removal from illusion and dependence on outside factors” (118). Chumley explains: “The nature of the human being is spiritual, and it is a return to that original spiritual essence that is the point and goal of hesychia” (103). This inner communion with God is the deep peace for which human beings are created; but we have difficulty discovering it and living it. The author’s purpose is to share an ancient and esoteric means by which modern people may experience the state of true peace that is our birthright, consequent to our having been created in the image and likeness of God. Orthodox Christian ascetics and monastics have, heretofore, been the primary purveyors of Hesychia. Through this book and his feature documentary (Mysteries of the Jesus Prayer), Chumley is breaking new ground to publicize the nearly 2,000-year-old inner technology developed by early Christian desert mothers and fathers. The author is an insider (Orthodox practitioner) as well as an outsider (non-monastic). This insider-outsider authorial position yields the best possible book for his purposes. As a lay practitioner who has evident respect for the beauty of his tradition, Chumley was allowed to do extensive ethnographic interviews with church and monastery leaders, as well as to film the actual spiritual and liturgical practices behind the monastery walls. The book is greatly enriched by these first-hand accounts from monastic practitioners whose humility, wisdom, and compassion radiate a compelling testimony for the method of inner purification about which they communicate. He himself was surprised by the ease of relating to people who had spent most of their lifetime in seclusion: “delightfully joyous, energetic, and full of spirit and love” (92). Although there is already extensive scholarship on the Orthodox contemplative and desert traditions, this book makes a significant contribution with its ethnographic accounts from living ascetics who are the foremost practitioners of hesychia. Additionally, as a non-monastic, the author also attends to those who live in the world. 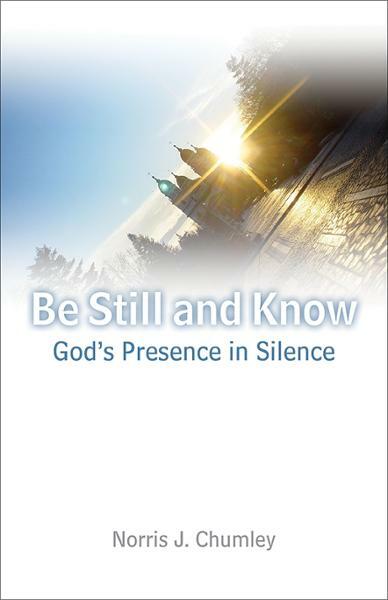 The book shows the value of “under-appreciated Christian practices of silence and contemplation” for ordinary people dealing with the ordinary problems of secular society (91). By practicing the Jesus Prayer, which is a principal element of hesychia, the layperson receives interior benefits of wholeness and peace. The Jesus Prayer is a prayer of the heart; it is said to unify the whole human being by merging the mind into the heart. In the development of hesychasm, the heart came to be seen as the locus or dwelling place of spiritual awareness and contact with God. Chumley argues, “by adapting the ancients’ methods of hesychia and hesychasm and practicing them in limited ways in the context of daily life, the heart and soul can be cleansed and spiritually fulfilled” (93). Regarding practical matters, the book provides simple, doable ways for incorporating the spirit of the method into daily life: creating an altar or sanctuary in the corner of a room at home; taking a minute of silence before eating a meal; saying the Jesus Prayer for 5-10 minutes at specific times during the day, in sync with the breath; repeating the name of Jesus before beginning a new task at work or before meeting someone (119). Even though the ancient and modern hesychasts felt it necessary to leave the world in order to experience hesychia, the book tends to affirm that hesychia is an internal reality rather than an external location. The book recounts that when Father Lazarus, starets of the Coptic monastery of St. Anthony, met His Holiness Pope Shenouda III, the Pope told him: “If you have the love of God in your heart, you can be happy anywhere” (68). Father Lazarus still felt it necessary to plant himself in the desert in order to eliminate the weeds of distractions and passions; however, hesychia is ultimately an inner state and not a special place. Bishop Kallistos Ware says it clearly: “A man may accomplish the visible and geographic flight into the desert and in his heart still remain in the midst of the city; conversely, a man may continue physically in the city and yet be a true hesychast in his heart. What matters is not the Christian’s spatial position but one’s spiritual state” (115). The book argues that hesychia is possible and even salvific for non-monastic life in the modern world. Chumley, however, also speaks to the importance of those in monastic seclusion who dedicate their entire lives to God. He is careful to reaffirm the traditional wisdom of reliance upon a spiritual guide. For the ascetic, focused entirely on spiritual practice and withdrawn from the world, it is imperative to have a spiritual guide so that one is “not led astray by self-delusion” (111). Having a spiritual guide is also recommended for the “secular worshipper.” Additionally, the book stresses the importance of Holy Eucharist. Chumley therefore seeks to spread the inner gold of the tradition, yet without debasing it in the process. Time will tell how possible it is to preserve the purity of a method when disseminating it widely. Having seen the change to Buddhism in the sharing of meditation, and to Hinduism in the sharing of yoga, one wonders what will change for the Orthodox traditions as their inner practices are shared widely through this book and the film. Hesychia has the power to bring peace, both within and among us. By uniting with the “image and likeness of God inside each of us,” Chumley proposes that we can not only end our own inner suffering of self-destructive beliefs and actions, but we can also see our unity with others, coming to “appreciate differences instead of annihilating them” (93). Fran Grace is Professor of Religion at University of Redlands.